Strong Look Records / release / STRBAN001 / No Through Road "Lo-Fi Sandwich (Mastered)"
No Through Road "Lo-Fi Sandwich (Mastered)"
"Digital partnership re-release" with Matt Banham Records. Newly mastered by Tim Carr. All songs written by Matt Banham except tracks 2, 6 & 8 written by Nic Datson & Matt Banham. All songs recorded at Bawawecra except tracks 2,6 & 8 recorded at Nic's House. The following people performed on this album: Stephanie Crase, James Weedon, Kynan Lawlor, Scott O'Hara, Seb Calabretto, Nic Datson, Nick Walton & Matt Banham. Review from Mess & Noise Magazine by Eliza Sarlos, March 2006. "Have you ever gone through a period in your life when you've become hyper-aware of what you like, and why you like it? A period in which everything new comes up against a "how-to guide" in terms of predicting your own value judgements? I feel like No Through Road and I share at least the same appendix to that guide. 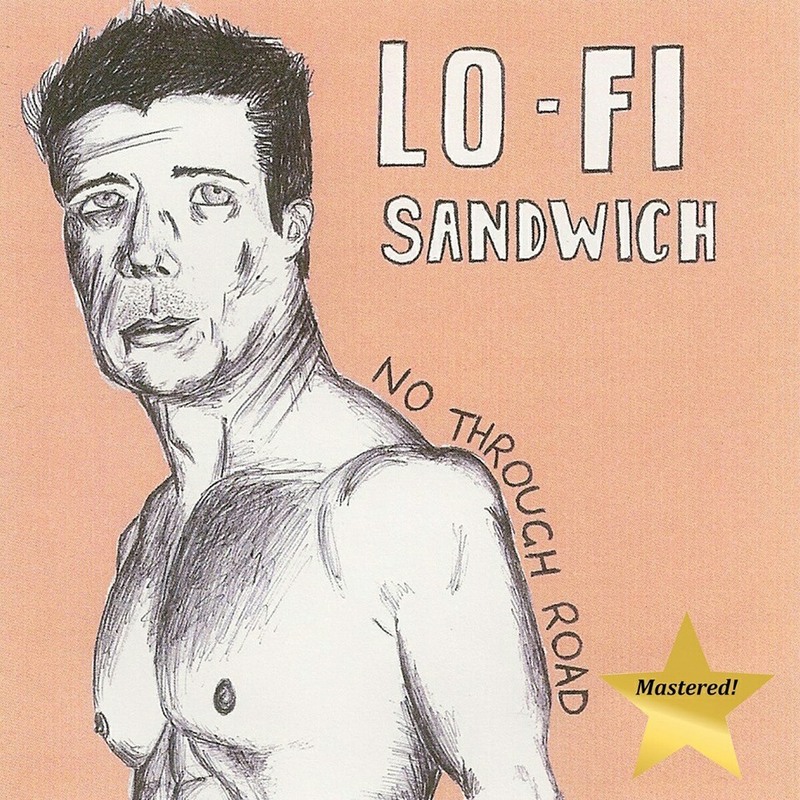 On his download-only album, Lo-Fi Sandwich, Matt Banham as No Through Road masters the aesthetic of lo-fi (duh) in a way that maximises the focus granted to his accomplished, yet under-recognised, songwriting. Incredibly diverse and similarly skilful, it picks up on the too-heavy-for-words verse that NTR's debut, Monkey On A Rock, established a couple of years back.The songs are honest, emotive and self-conscious, so much so that listening to them makes you feel like an invader of the world Banham inhabits with his subjects. This guy can redefine "intense", but allows the album to play out in a way meaning optimism isn't entirely impossible either. Tracks like 'Peak/Ridge' do it to perfection - a collective crafting a sing-a-long melody over the top of some lack-lustre beatboxing, which quickly shifts into whiny little indie kid musing over his need to overcome relative heartbreak. Perfect. And I mean it. Banham's found obvious solace in cathartic lyricism and a diversifying line up, allowing his songs to unfold in various styles so as to avoid the stigma of a man full of woe and guitar strumming. With the Elverum style drums on 'She is only in your dreams'; the tongue in cheek vocal Xiu Xiu'ing in 'I've got something on my Xiu Xiu'; the intentionally sitcom-pop of 'Final song for Ally Mcbeal'; and the beautifully arranged 'Motorways'; Lo-Fi Sandwich plays like an introduction to the many personas of No Through Road, and a more thorough one than its formally released predecessor. It seems like kind of a mid-career "heads up" on the many directions this band/man could go. Which brings me to my next point. You, dear reader, can listen to them. Head over to www.nothroughroad.com and decide to dis/agree with me. See, I fell in love with this album for more than the songs. Paralleling Banham's lo-fi approach (one that disengages with what the music industry stipulates you need to record an album, i.e. a studio), Lo-Fi Sandwich sidesteps the whole "release album, engage with press junket, eagerly await record sales" paradigm by presenting itself exclusively for free download online. It's viable, because the costs per unit are negligible, and recovering them doesn't become an issue. And honestly, physical distribution for these recordings was never going to challenge the potential listenership they can attract online. Some might say that No Through Road fails to engage with the norm at his peril, but I'd say that he's setting himself up for indie superstardom."